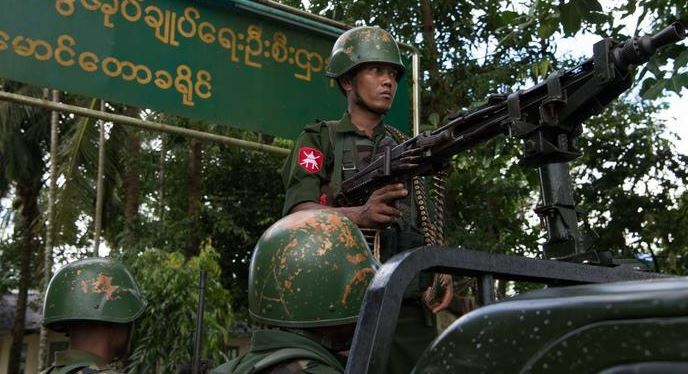 New York: The UN Human Rights Commission has condemned the Myanmar military for “again carrying out attacks” against civilians in the volatile Rakhine state, expressing deep concerns over an escalation of violence in the country. The UN has accused the Myanmarese army of “genocidal intent” in its campaign against the long-persecuted, majority-Muslim ethnic minority, which followed attacks by a Rohingya armed group on police posts in late August 2017. On Friday, Ravina Shamdasani, spokesperson for the UN High Commissioner for Human Rights said there were “credible reports of the killing of civilians, burning of houses, arbitrary arrests, abductions, indiscriminate fire in civilian areas, and damage to cultural property”. “We are deeply disturbed by the intensification of the conflict in Rakhine State in recent weeks, and condemn what appear to be indiscriminate attacks and attacks directed at civilians by the Myanmar military and armed fighters,” she said. Noteworthy, the western state was the epicentre of a brutal crackdown by Myanmar’s security forces in 2017 which forced about 730,000 Rohingya to flee into neighbouring Bangladesh.